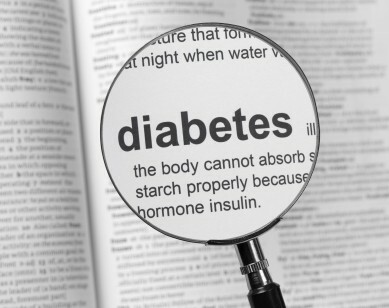 Diabetes is the fastest growing chronic disease with an estimated 280 Australians developing diabetes every day. By 2031 it is estimated that over 3 million Australians will have diabetes. Unfortunately, there are many adverse dental problems that are linked with diabetes, primarily gum disease, also known as periodontitis. People diagnosed with diabetes are at a greater risk of developing gum disease than those without diabetes, and the risk is associated with blood glucose control. Those who often have high blood glucose levels are 2-3 times more likely to develop gum disease than those with well controlled levels. Gum disease, or periodontitis, is an inflammation of the gums where permanent destruction of the gums and bone occurs. Periodontitis worsens over time and the progressive destruction of the supporting tissues, although usually painless, can result in teeth becoming loose and even lost altogether. Signs of gum disease include bad breath and bleeding gums. Some studies suggest that gum disease could have a reciprocal effect on diabetes, making it more difficult to control blood glucose levels. Uncontrolled blood glucose levels are also linked to delayed healing after oral surgery (such as extractions), oral infections including fungal infections as well as a decrease in saliva causing dry mouth and taste impairment. There is an increase in sugar content in the gingival fluid (the fluid that sits between the tooth and gums) associated with high blood sugar levels. This combined with a decrease in the amount of protective saliva means that there is a greater risk of developing dental decay. Regular check-up visits with your Medland dentist will ensure early detection of any potential dental complications stemming from diabetes. Appointments should be arranged according to when your insulin level is most stable, for example in the morning. Your Medland dentist and hygienist will individually tailor a preventative plan to minimize any potential dental problems arising from diabetes. Foremost is keeping your teeth and gums healthy with a good home routine, so brushing twice a day with fluoride toothpaste and flossing every night is imperative. Keeping well hydrated will minimise the effect of dry mouth and if you wear dentures it is best they are removed at night, to prevent infection. Smoking will amplify any potential dental complication from diabetes, so talk to your dental or medical professional about quitting strategies. Eating healthily and controlling blood sugar levels are incredibly important. If there is good control of blood glucose levels and good home care routine there is the best chance of maintaining optimal dental health.